The problem with power is that those who seek it are often the ones least qualified to wield it. This is no less true in the church than in society at large. Many great minds have spoken out about the seeking and wielding of power. I cannot add any pithy sayings about power to the list but I do wish to challenge how power is viewed in the church at large. For whose benefit is the influence exerted? Will the leader use his power to bolster his position or will he use his power for the benefit of those he leads? Will the leader recognize his dependence upon God and seek God for how he should lead? For whose benefit is power wielded? While this applies to everyone, not just leaders, it is more important that leaders in the church operate with the motive of benefitting others. But too often, pastors operate to consolidate their own status and position within the body of Christ. They jealously guard the pulpit and seek to put a leadership team around them who agrees with their agenda. This is done in the name of “ministry vision.” But it should not be this way. Is power wielded in dependence upon God? In 1 Corinthians 11:1, Paul encourages his readers to imitate him, but only in so far as Paul himself is an imitator of Jesus. There are two aspects that I see to operating in dependence upon God. The first as Paul mentions is to imitate the example of Jesus we see in the Gospels. Jesus served others rather than have them serve him. Jesus put others’ needs before his own. The second aspect of cultivating dependence upon God is to have an active relationship with him. Is the Bible merely the textbook from which the sermons are prepared or is it the tool which God uses to shape the heart of the pastor? Does the pastor seek to deepen his own relationship with God so that he can be more effective in bringing others into a similar relationship? Does the pastor recognize that he is deeply flawed, but deeply loved by God? Does the pastor understand that he will give an account to God, not for the number of people in the seats but for the condition of the hearts he was to shepherd? When a man or women steps forward to be a leader, the most important question is why they want to do so. Is it to serve or to be served? Does the prospective leader demonstrate dependence upon God? 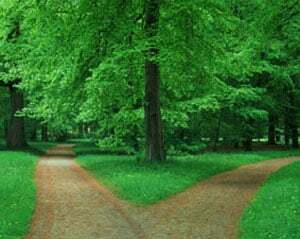 As followers, we need to make wise choices as to what leader we will follow. As leaders developing leaders, we need to exercise due diligence in our choice of who to develop and how to develop them. When church leadership falls into the wrong hands, neither the church nor the society at large fares well. People get hurt and it is not pretty. On the other hand, when a leader operates with a proper sense of calling and with a proper humility, that leader can be used by God to produce amazing results. Christians are to be followers of the Truth. Truth dispels shame and as a result, shame should not be a part of any church culture.